Another pulsating day of RFYS comes to an end! While Jamshedpur witnessed thrilling contests in the final, Imphal saw 16 teams battle it out to book their place in the semi-finals. To see how the teams fared in all the 10 cities, visit Football Results. The Junior Boys of Pro Vani Vidya Mandir put on a brilliant performance against Manav Vikas High School to claim the Jamshedpur Championship. Calm, collected and in control throughout. 3-0 at FT. Rosary High School won 1-0 and knocked Marina English High School out of the tournament in Goa’s Junior Boys clash. Shyama Prasad Inter College further added 3 goals onto their half time lead to complete a 10-0 rout of Jusco School Kadma to win the Senior Boys Championship. In Bengaluru’s Junior Boys game, Parikrma Centre For Learning’s Shashank R scored 5 goals in a staggering 15-0 win against Samsidh Mount Litera Zee School. Brilliant half for Shyama Prasad Inter College as they head into the break with a healthy 7 goal lead. It will need a monumental effort from Jusco School Kadma to come back from here. To follow results from other cities, visit Football Results. In the Junior Boys league game in Ludhiana, International Public School registered a dominating 8-0 win over Saraswati Model Sr. Sec. School. In Jamshedpur, Shyama Prasad Inter College and Jusco School lock horns in the Senior Boys final. 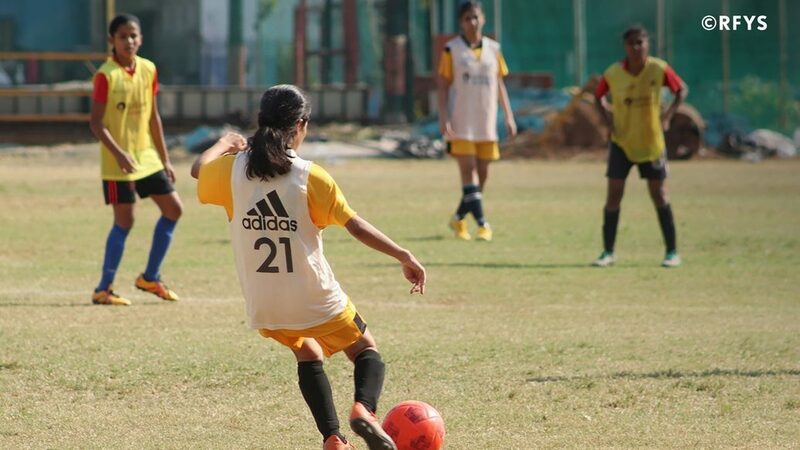 St. Roberts High School recorded a comprehensive 4-0 victory over Shyama Prasad Inter College to claim the Jamshedpur School Girls Championship. 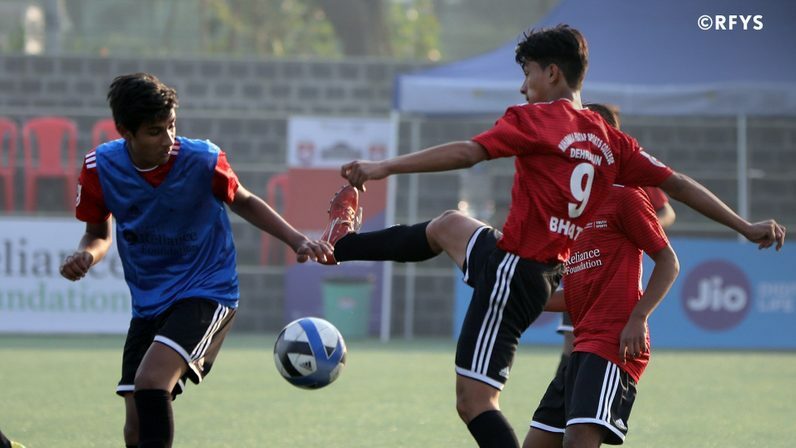 Elsewhere, Mumbai’s St. Xaviers High School Shanti Park Mira Road had a brilliant defensive display and clinical attack in their 13-0 win over JDT Secondary English Medium School Malad. Full-Time in Jamshedpur and the teams are tied at 2-2. The game will head into penalties as the atmosphere there gets even more intense. Meanwhile, In Mumbai, St. Xavier's High School, Mira Road had an amazing start to the day as they racked up 13 goals to nil against JDT Secondary English Medium School, Malad. It is HT at Tinplate Ground in Jamshedpur and Co-operative College are leading 1-0 against Abdul Bari Memorial College. ABMC came close to scoring twice before the break. The match is far from over as they will be attacking more aggressively in the second half. 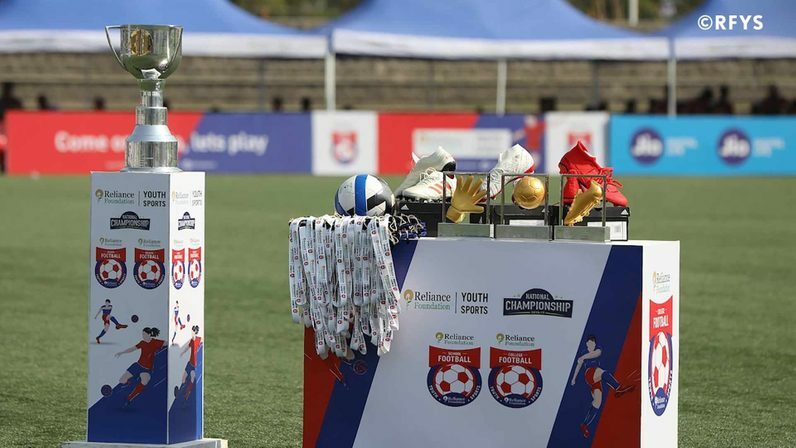 Watch the Jamshedpur City Championship Finals Live to stay updated. Kick-Off time! The first final of the day begins at the Tinplate Ground in Jamshedpur. At the same time, action at Reliance Corporate Park, Mumbai too begins. Christ Academy has won 4-1 against St. Joseph in the Junior Boys category. © 2018 reliance foundation youth sports.